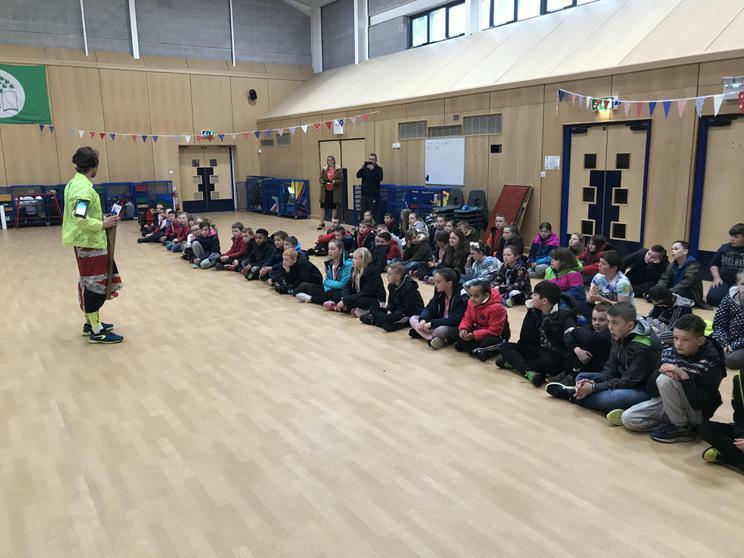 It was great to welcome Diathlete Gavin Griffiths to Pembroke Dock Community School on Tuesday 24th April. 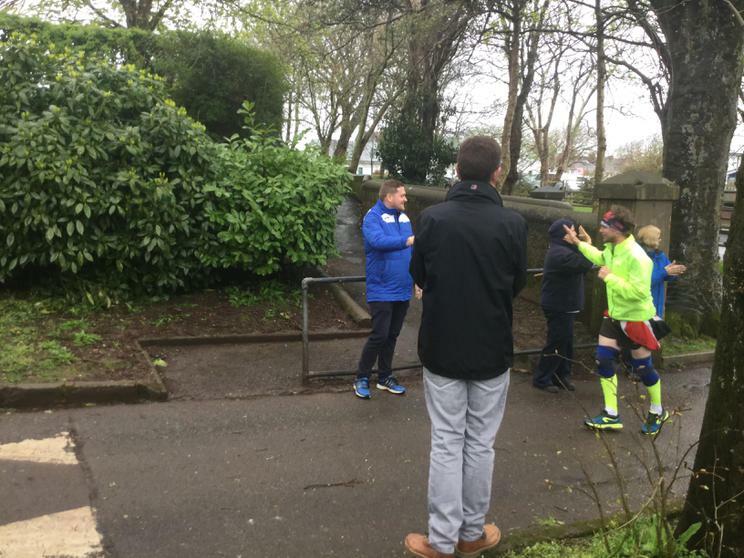 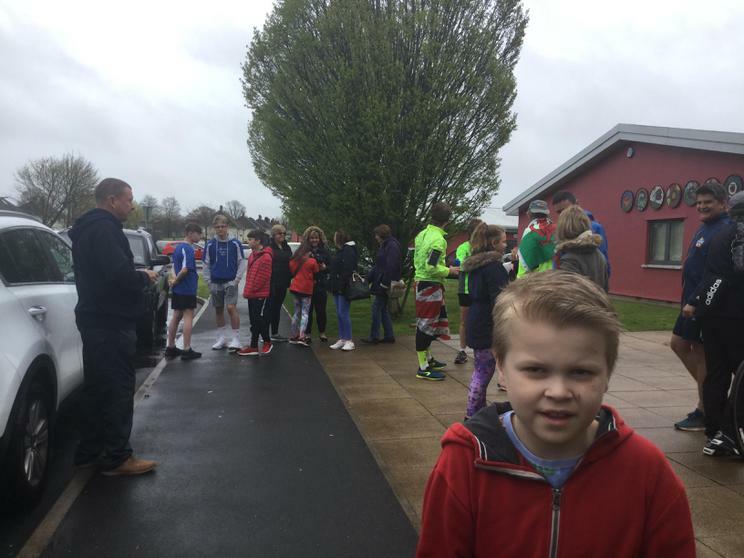 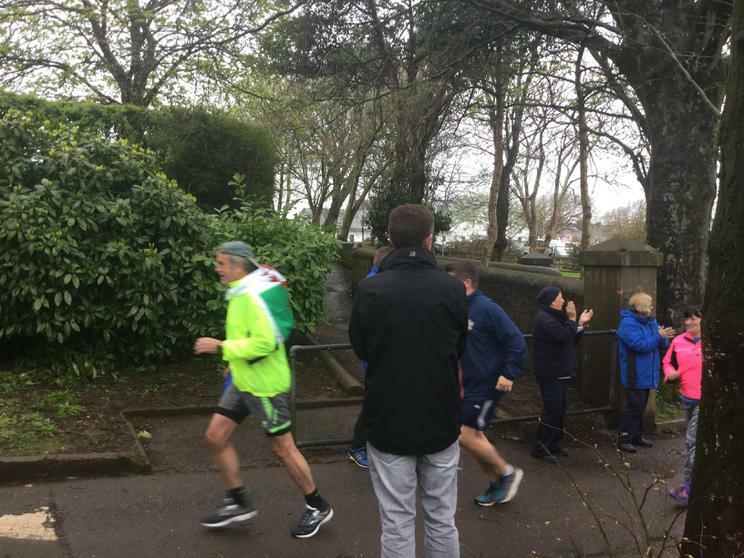 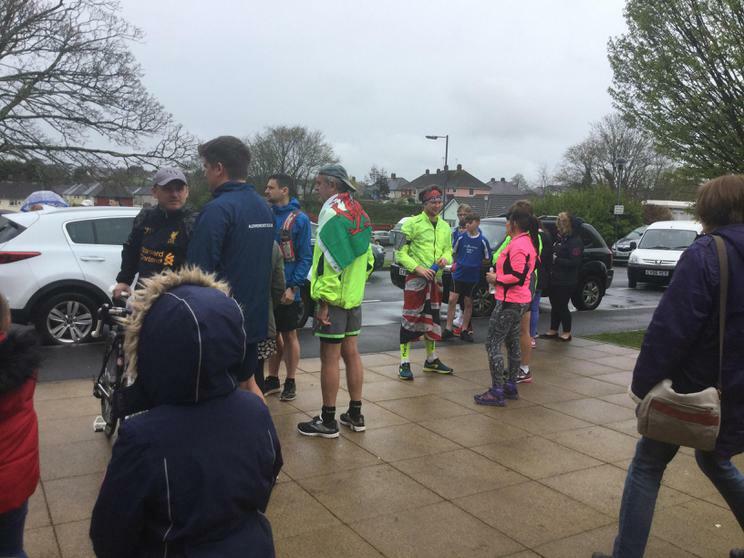 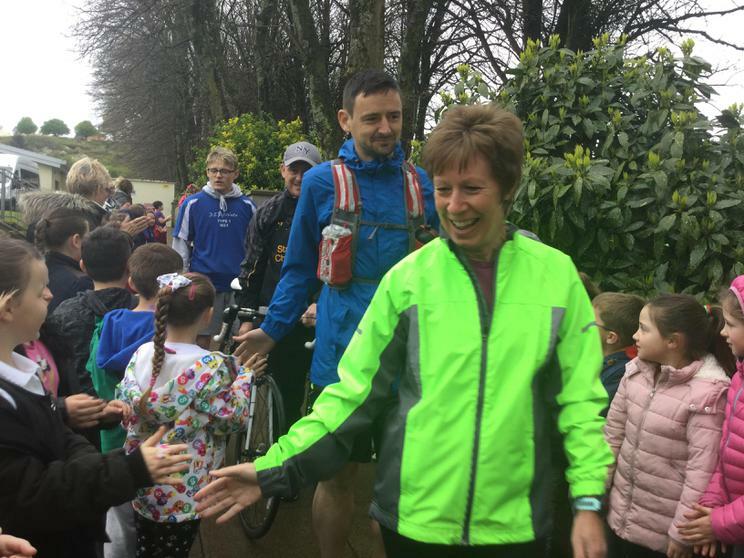 He spoke to Year 5 pupils before embarking on marathon number 10 of 25. 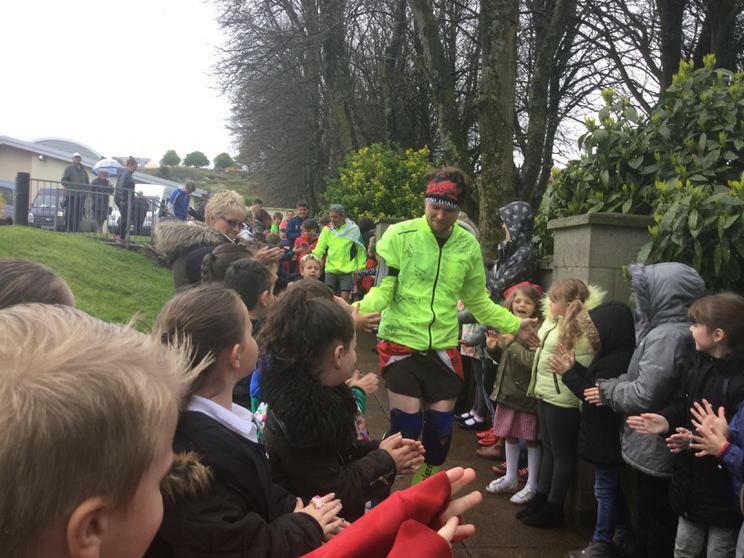 Gavin's epic set of challenges are helping to promote awareness of Diabetes. 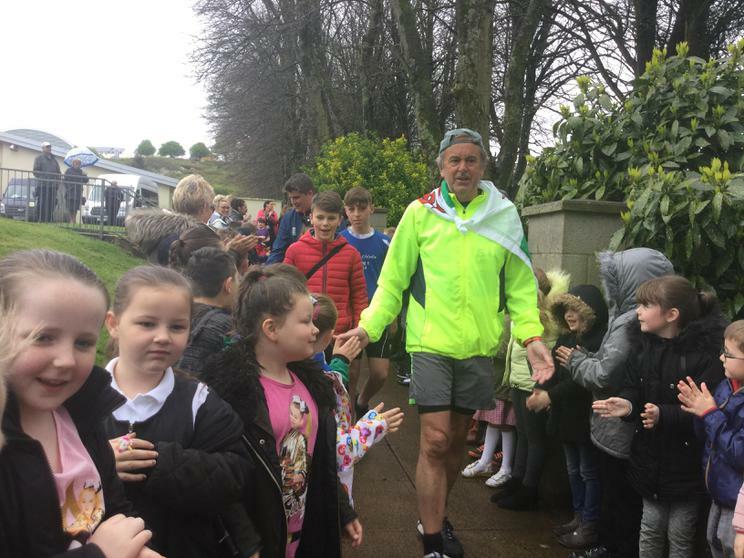 He spoke about the difficulties of living with the condition but that despite that, it has not stopped him becoming an athlete and achieving his dreams. 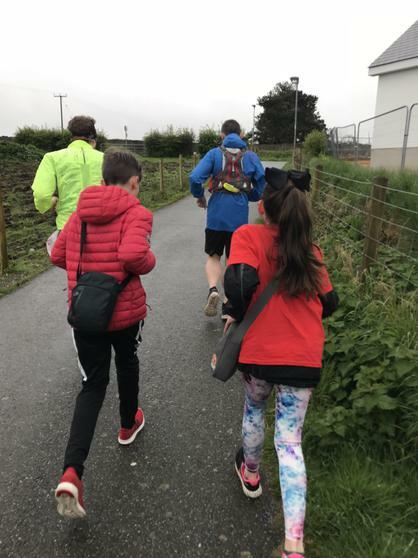 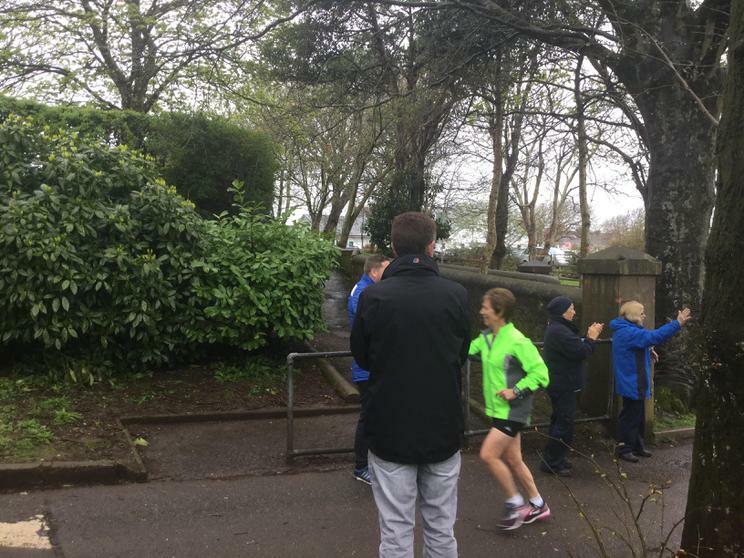 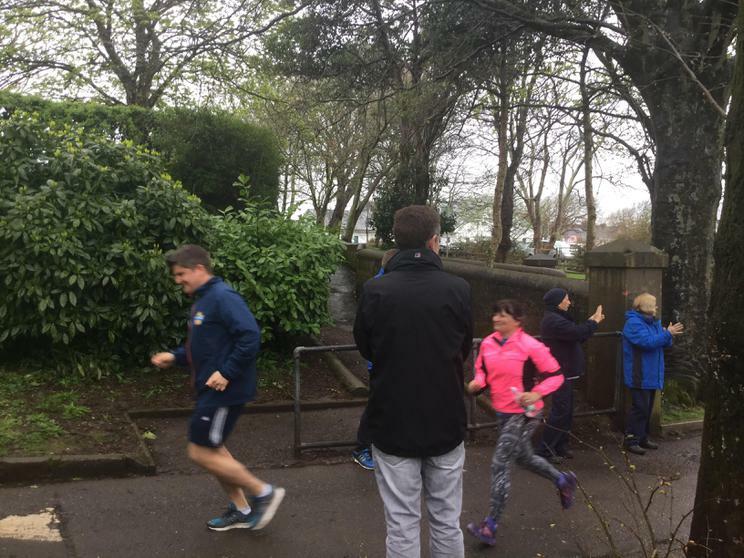 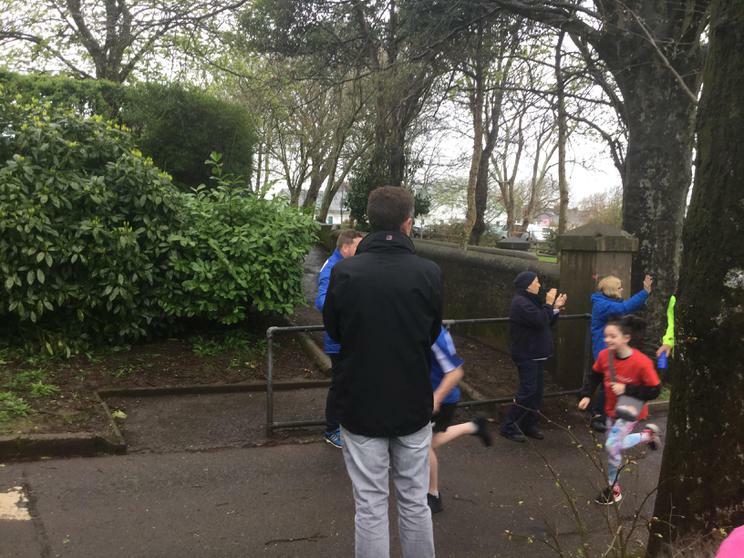 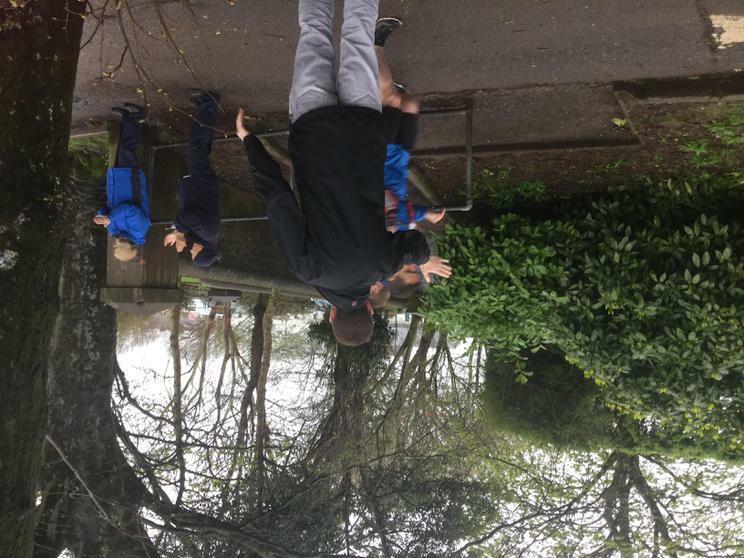 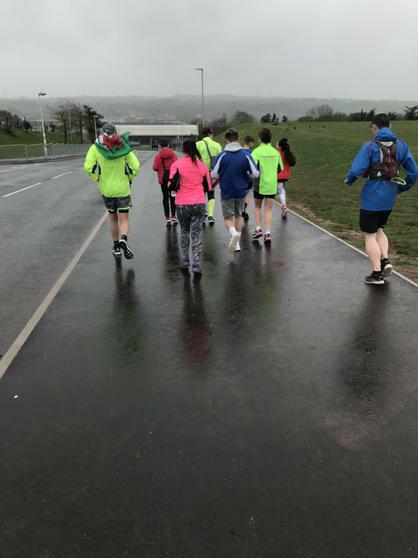 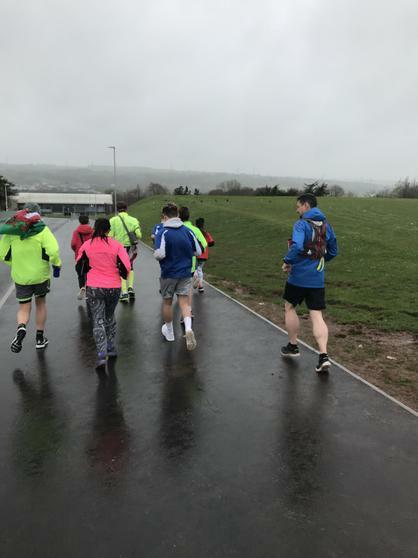 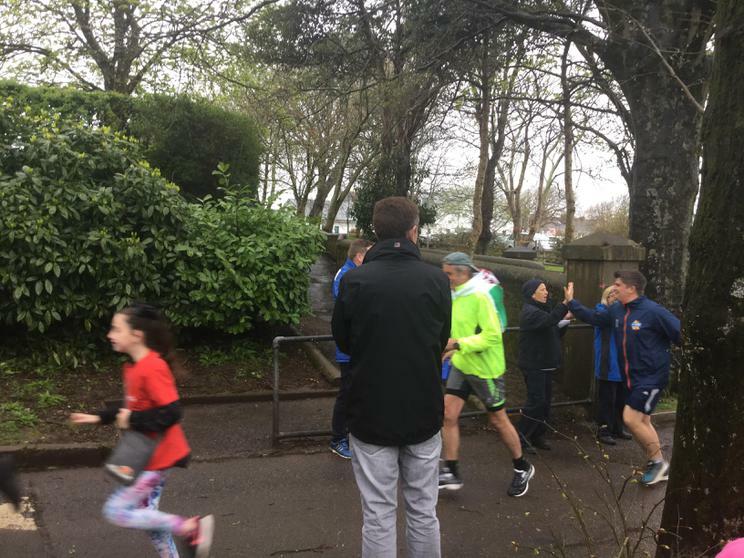 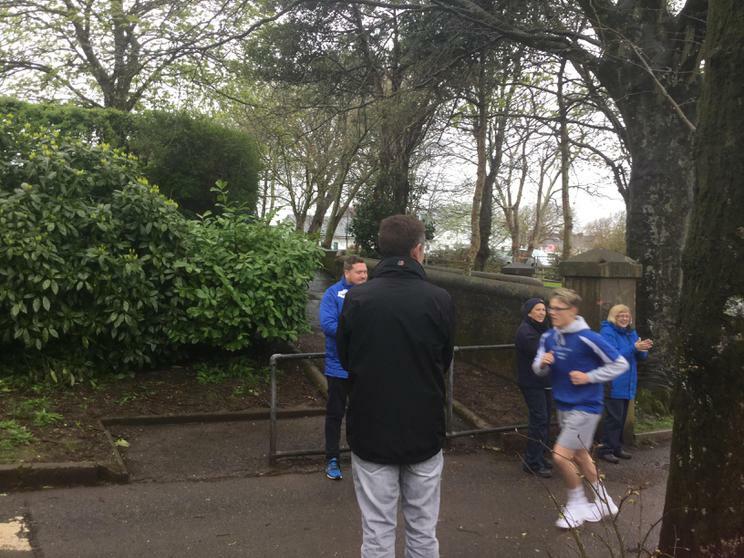 Gavin and a team of runners, including former pupils Adam and Mitchell, as well as current Year 4 pupil Tegan and Mr Jenkins, set off on a run to Pembroke Comprehensive, before continuing to Tenby and back. 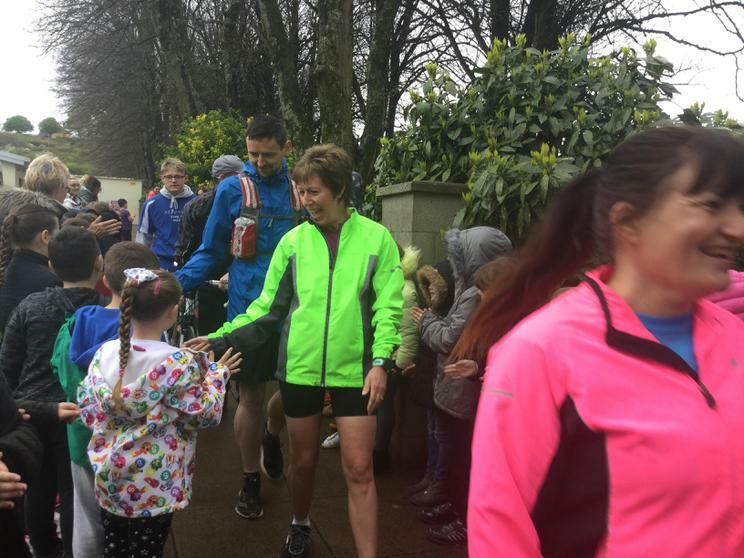 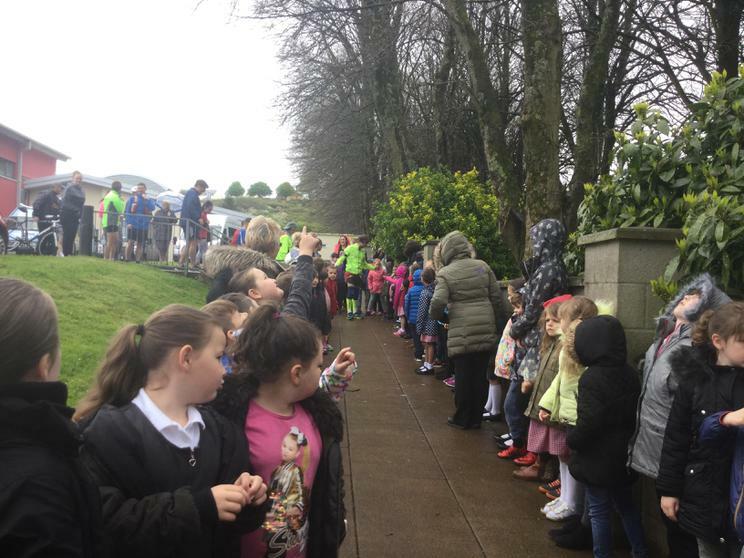 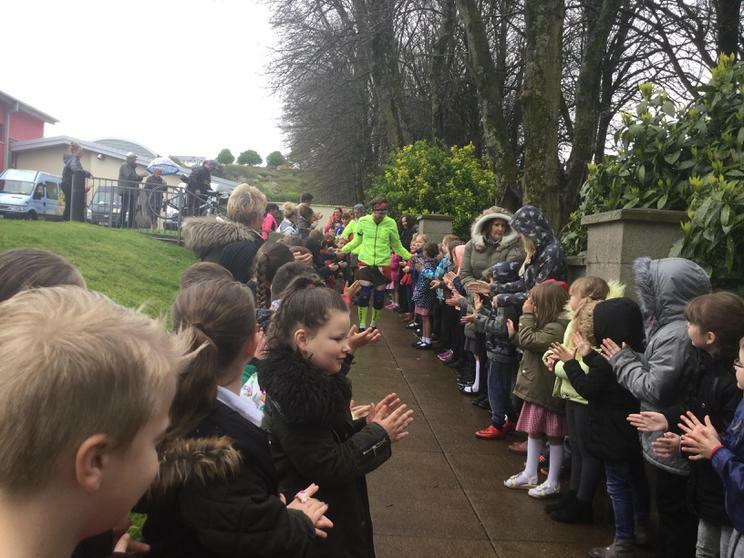 They were cheered on by pupils in the Foundation Phase as they left the school premises. 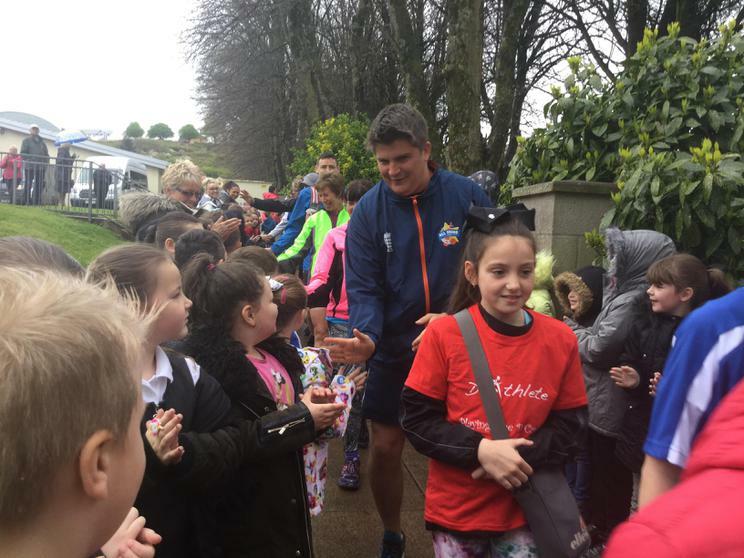 We would like to wish Gavin the best of luck as he he continues his challenge of running 25 marathons in a month!